Tiny radio tags are being used to track the movements of a group of Britain’s rarest reptiles as they are reintroduced into the wild. Marwell Wildlife in Hampshire has fitted transmitters to 24 out of 86 sand lizards being released at the site of special scientific interest at Eelmoor Marsh in Farnborough. The aim is to use the trackers, which weigh just 0.29 grams – less than 5% of the lizard’s body weight – to help understand their behaviour. Many thanks to @QinetiQ, Natural England and Surrey Amphibian & Reptile Group for all of their support. 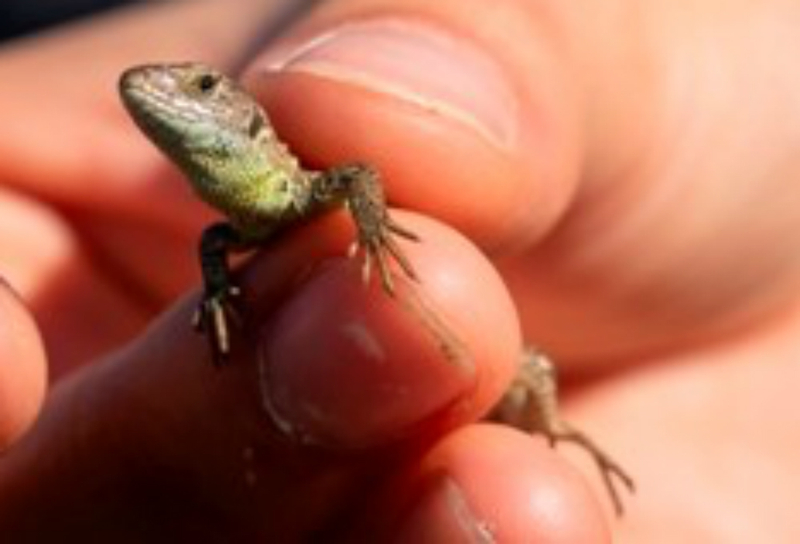 Rachel Gardner, PhD student at the University of Southampton, said: “Because they blend into the environment and spend time foraging and hiding in dense undergrowth, sand lizards can be incredibly difficult to see. The sand lizard, Lacerta agilis, is found across Europe and Asia but the species disappeared from most of its habitat in England and Wales. Its numbers are now increasing following conservation efforts. Marwell Wildlife is reintroducing 250 sand lizards to Eelmoor Marsh with a total of 2,000 across the south of England during the past 25 years.